It is advised that you read our notice and takedown policy by clicking here. That page summarizes the information that should be presented in a ‘Notice’ of the alleged IP infringement to us. Please note that the items listed on our website are from the open catalog of movies and TV shows that we have (from TMDB, and OMDB APIs). The items that are not released yet, or not out on DVD / Blu-ray are indeed unavailable, and that is what we would tell our customers if the requests ever come in. 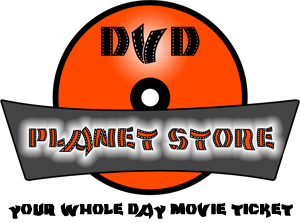 Intellectual property owners are ultimately responsible for protecting their own intellectual property, moreover, DVD Planet Store is not a legal expert in such IPR matters. Therefore we need your help to efficiently and expeditiously identify what you believe may be an alleged infringement (or infringements) of your IP rights. To avoid getting removal requests in pre-sale inquiry form of our website, below, we have provided a request form, which you could fill out requesting removal of (an alleged) copyrighted material. This request form is only for specific legal matters and must not be used for any pre-sale, order tracking or after-sale customer issues. For these, please use our website’s contact us form. In the request form below, please double check your email id. It must be valid for us to respond you back. Please, do not forget to include the link(s) of the (alleged) copyrighted material. In some cases, email service providers do not let our emails through to inbox. Please, check the spam folder for our replies, just in case.